Natal 1st house is the sign where your Ascendant (Lagna or Rising Sign) falls and from there, other houses are calculated clock-wise. 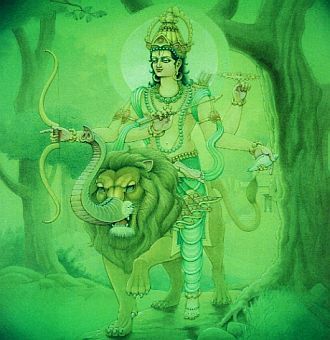 If you were born with Leo Ascendant (Simha Lagna), then your natal 1st house will be Leo and Sun transit through that sign (during August-September every year) must be analyzed. Similarly, when Sun transits through Aquarius (Kumbha during February-March every year), effects of Sun transit through your natal 7th house must be observed. 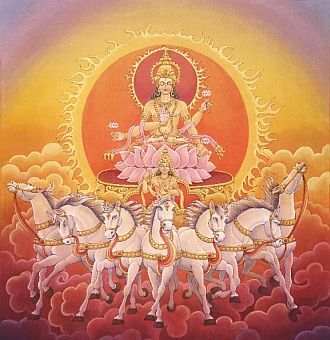 Transit Sun through Natal 1st House : You will feel full of self-confidence, vitality, will power and endeavours for recognition and authority. Displaying leadership qualities, expressing themselves by force and will get ambitious. This is almost a rebirth of yourself. Transit Sun through Natal 2nd House : Inclination to achieve material prosperity, wealth through speculation and huge business. You want to show off and spend too much to acquire or maintain social status. Can be involved in artistic pursuits or similar businesses and spend time, money on social activities and romance. Transit Sun through Natal 3rd House : You will express authority in speech and all forms of communication. Will get involved in preaching, self expression, guiding kids in their education, frequent communication with neighbours, siblings, friends etc. Short journeys will be enjoyable. Transit Sun through Natal 4th House : You will take initiative in domestic and family activity, romance and social activities. This is time to understand habit patterns and deep seated emotional attitudes. Transit Sun through Natal 5th House : Time to take creative interest in sports, education, entertainment and romance. Love or sexual encounters can happen. Romance develops into sexual gratification very soon. If you have a partner, pregnancy or child birth related topics will be discussed with partners. Investent in speculations and responsibility towards children will increase. Transit Sun through Natal 6th House : Enjoys working conditions and recieve favors from superiors. Time for expressing yourself at work and authoritatively supervise work done by others. Your children will be benefitted monetarily. This is also best time for hit the gym and maintain physical fitness. Transit Sun through Natal 7th House : You will show inclination towards partnerships, marriage and personal relationships. You will meet people in authority. You will like to be noticed and appreciated. Will remain engaged in public relations, legal issues and politics. Seniors will help you get promoted. Transit Sun through Natal 8th House : Time to get involved in joint finances, corporate affairs and speculations. You may get benefitted from inheritence, lottery, alimony, joint finances or past investments. You will plan for future of children and invest for them. Waste products, recycling etc can prove to be beneficial. Increase of sexual desires can happen. Transit Sun through Natal 9th House : Your interest in creative studies, higher education, religious, philosophical activities will increase. Visiting foreign countries is also possible. 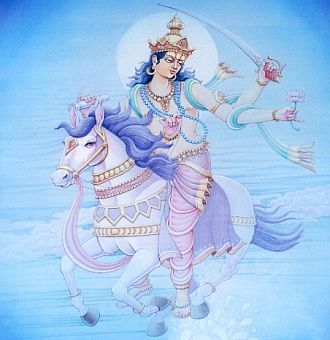 Transit Sun through Natal 10th House : You will desire power, authority and status. Increased professional responsibilities, ambitions can be experienced. Professional contacts can lead to romantic adventures. Time to invest for future of your children. This transit provides name, fame, promotions, political and social gains (if vimsottari dasa also promises the same). Transit Sun through Natal 11th House : This is the most favorable transit. You will develop friendship with authoritative people, enjoy romantic experiences, express positively at work. Your actions will be recognized and suitably rewarded. Group activities are most favored. If Sun here is afflicted by Nodes or other malefics, you can grow selfishness and dominate others for your ulterior motives. Transit Sun through Natal 12th House : Intuition, philosphy, occult, behind the scene activities are favored. Some of you can develop secret love affairs, hide financial matters from partners, involve excessively in alchohol and extra-marital relations. Loss in speculations is also possible.